We’d love to have you join us. 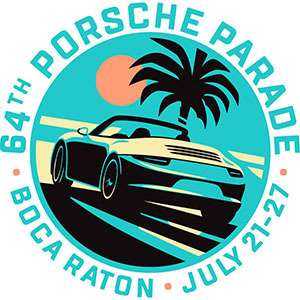 Membership applications are available on-line at www.pca.org/join-porsche-club-america. You may choose to join any of the regions detailed below or, if you do not designate your preference, one will be assigned to you based on the County in which you reside. Based in the east bay counties of Alameda, Contra Costa, and Solano, but also has representation throughout the Bay Area. 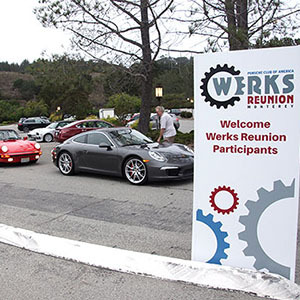 Diablo region has a strong base of social activities, with two large concours events every year, one “wash & shine event, plus a Zone event at the famous Blackhawk Automotive Museum. More information can be found at diablo-pca.org. Based in the bay area counties of San Francisco, Santa Clara, and San Mateo, but has representation throughout the Bay Area. Golden Gate has a very strong competition program, with its very successful drivers education/time trial series and autocross series held at various venues throughout Northern California, plus concours and rallye events each year. GGR also has social activities, including a couple of tours per year, plus dinner meetings, and a very committed charity program. GGR is the largest region in Zone 7. More information can be found at pca-ggr.org. Based in Santa Cruz County, with many of its members and activities also in Santa Clara County. Loma Prieta has a very active social program of dinner meetings, tours (day and overnight) and tech sessions, plus an autocross series with 5-6 events each year, generally held at the Marina Airport. Loma Prieta hosts a zone concours and swap meet at Partsheaven every year. More information can be found at lprpca.org. Based in Monterey and San Benito Counties, with many members residing in the Monterey Bay area, including Santa Cruz. Monterey Bay Region has many social activities, including tours and dinner meetings. Many of their members also volunteer for the Sports Car Racing Association of Monterey Peninsula (SCRAMP), operators for Mazda Raceway at Laguna Seca. Monterey Bay Region is the traditional host for events during the Monterey Historic races each year. More information can be found at mby.pca.org. Based in the North Bay and coastal counties, extending from San Francisco to the Oregon Coast. With beautiful geography, Redwood region has regular tours and social events. Redwood also has an autocross series, based at the Santa Rosa Airport, with 5-6 events each year, plus a Zone concours at the Ledson Winery. More information can be found at red.pca.org. Based in the southern San Joaquin Valley, with most members in Fresno and Medera Counties. Sequoia has regular dinner meetings plus tours (one day and weekend events), and also maintains an annual autocross series with approximately 4-6 events each year. Sequoia also hosts an annual Zone concours event, held in conjunction with a major SCCA concours event. More information can be found at seq.pca.org. Based from Butte/Glen counties north to the Oregon border, with many members in the Redding area. Shasta Region hosts regular dinner meetings, plus several tours each year, including several overnighters. More information can be found at sha.pca.org. Based in Northern Nevada, and includes the eastern slope of the Tahoe basin. Most of its members are in the Reno-Carson City area, plus Tahoe. Activities include social (dinner meetings and the occasional tour), plus partnering with the local SCCA Chapter for autocross events. Sierra Nevada traditionally hosts a zone autocross event, and hosted a 914 Special Interest Group event in 2002. More information is available at snv.pca.org. Based in the north San Joaquin Valley, with most members in the San Joaquin County and Stanislaus County areas (i.e. Stockton and Modesto). Regional activities include dinner meetings and tours, plus teaming with adjacent regions for an annual zone autocross event. Yosemite also hosts a zone concours event and rallye each year. More information is available at yos.pca.org.